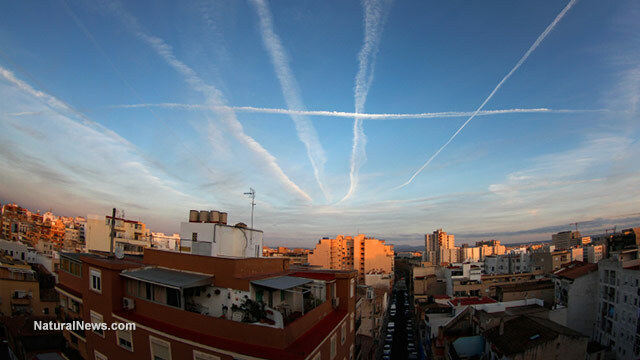 How much lead is being “chemtrailed” across America due to aviation fuel? According to General Aviation News (3), about 681,000 gallons of avgas were burned each day in 2013. If lead is 48 ppm in avgas, that means each kg of avgas contains 48 mg of lead. Multiplied by the 1.8 million kg of avgas burned each day, this means avgas fuel is emitting 86.4 kg of lead PER DAY in the skies over our heads. Over a year, that’s 31,536 kg of lead dumped directly into our air, and that lead falls onto our farming soils, forests, lakes, rivers, streams, oceans, children’s playgrounds, cattle ranches, and so on. Later in his article, he does acknowledge that lead is a public health hazard, but he explains that his airplane contributes virtually nothing to the problem: “But is the exhaust from my airplane’s 180-horsepower engine really that significant a national health threat…?” he asks. He’s right that his one airplane isn’t much of a factor in all this, but in a collective sense, if you combine all the piston-driven aircraft flown by pilots like Freed, it becomes a huge issue nationwide. Avgas emissions are the number one source of lead emissions into the skies of America. As the following EPA chart shows, avgas is the No. 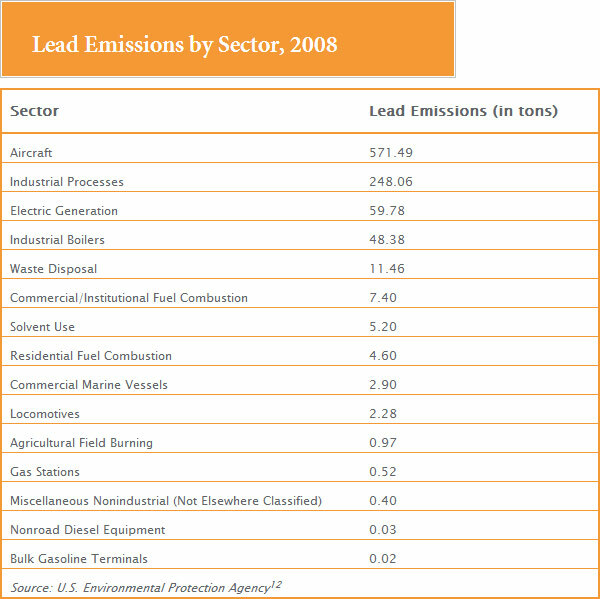 1 source of lead emissions, followed by “industry” in the No. 2 spot, then coal-fired power plants third (“electric generation”). By the way, where does all this lead end up? Much of it appears in the food supply, of course, because plants absorb lead from soils and grazing animals eat and concentrate toxins from plants. This is why heavy metals are often higher in milk or meat than in raw grass. It’s also part of the reason why I keep finding lead in so many foods when I run atomic spectroscopy tests in my ICP-MS laboratory. 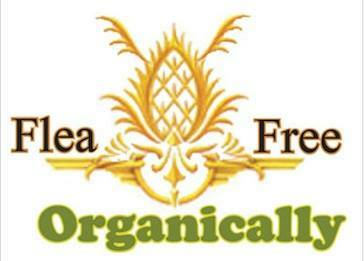 Click here to see lead results on cacao, grasses, pet treats, protein products and more. Children’s IQs in America noticeably dropped during those “lead years,” and IQs were restored to higher levels once lead was removed from gasoline. Today, it is illegal to add lead to gasoline and burn it in vehicles. What’s clear in all this is that as long as we keep burning lead in avgas, we’re going to keep suffering the health effects on the ground. In an age where the academic achievements of American children are routinely overshadowed by children in India, China or Korea, the continued dumping of IQ-damaging lead into our atmosphere seems absurd. What you dump into the sky falls onto the soils and eventually makes its way into the food supply, too, so burning lead in airplanes sooner or later results is all of us eating lead on our dinner plates. How big of a problem is this in the really big picture? Arguably it’s not the most urgent problem we face. Even I would argue that our nation’s power grid vulnerability to high-altitude EMP weapons is a far greater threat to us all (especially with North Korea playing around with long-range ballistic missiles carrying with nuclear weapons). In an era when war seems to be breaking out in the Middle East, and the global banking system seems forever on the verge of collapse, it’s difficult for society to focus on the more subtle (but chronic) long-term problems like lead in avgas. But this is a problem that can be solved with a phased switchover to mogas (unleaded fuel). All that’s required is some leadership by the FAA and EPA working together to clean up our aviation industry and get the lead out of our skies.